"Yesterday’s conspiracy theories often become today’s incontrovertible facts." Not sure where this quote originated, but how true! The misuse of the term "conspiracy" has become a tool for those who want the truth hidden from those being conspired against. The clear effect of terms such as "conspiracy theory" is meant to silence people who suspect a conspiracy may be happening. The misuse of the term is nothing more than a smokescreen that serves the interests of the guilty and powerful. 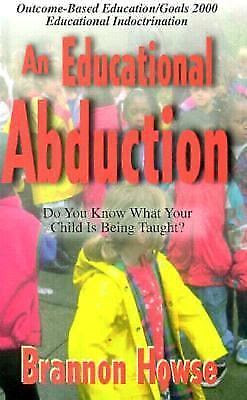 In 1993 a book was published called, "An Educational Abduction" by Brannon Howse. The book was about Outcome-Based Education, Goals 2000, America 2000, and Educational Indoctrination. The book uncovers an agenda and strategy to undermine the role of parents raising their own children, as Brannon rightly calls it, "An Educational Abduction," which I will get to in a minute. As the world's elite powers unite to bring about a New World Order, government leaders, and educational elites continue to push legislation that literally seeks to change America from a free individual nation and erase our Judeo-Christian values. In order to achieve their goals the state educators continue to implement programs that are more about global attitudes, values and New Age religion, rather than academic achievement or cognitive knowledge. We've already seen this happen in the past several decades, and will continue to see even more outrageous legislation being passed in order to indoctrinate children to accept a new global standard, the one that the Antichrist will one day rule. While this article exposes new legislation, which is old legislation revived, it is also an exhortation to a true commitment to Christ, and what we need to be doing as the days become more evil, and the coming of Christ draws ever closer. What then does doctrine mean? Simply, it means ‘teaching’. Specifically what GOD teaches us in His Word. The fundamentals of the faith therefore are the core doctrines, the very heart of doctrinal truth that is recorded for us by GOD in the Holy Bible. 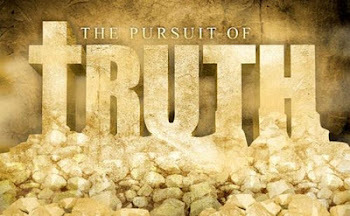 From these foundational fundamentals all of the truth of GOD’s WORD is built upon and derives. 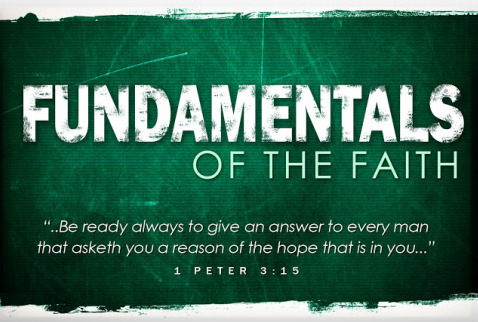 What are the foundational doctrines then that are the fundamentals of the faith? 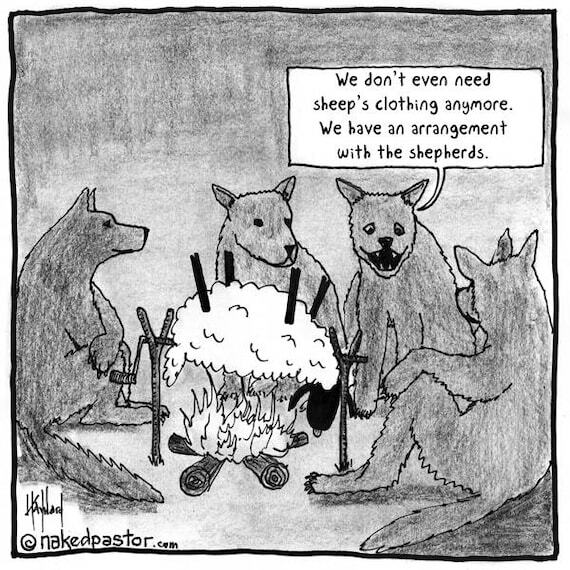 Before we get into these, let’s consider this: if there is anyone who claims to be a Christian, but denies any one of these primary fundamentals, they are denying ‘the faith’ – that is, they are contradicting the truth of GOD’s Word that is necessary for salvation and spiritual life. It is doubtful that such a one is truly born again. Video teaching at Eternal Living Word church, GEN 10. So far, we’ve covered the history of Creation in GEN 1 (The LORD God made heaven and earth and everything in them -including us). We’ve covered the Garden of Eden in GEN 2 and and the fall of man GEN 3. The first murder and martyr – Cain and Abel in GEN 4. The family lines of Adam, Cain and Seth (who replaced Abel) in GEN 4 and the remarkable hidden message found in GEN 5. 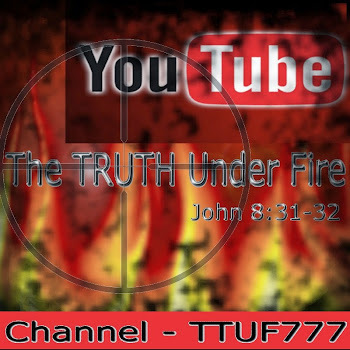 We’ve covered the pure and ongoing wickedness of man in that fallen Angel’s sexually mixed with humanity which then brought forth Giants (The Nephilim) and God’s judgment in GEN 6. God chooses Noah to build the Ark (giant ship) as an act of love and mercy before God sends the world flood and destroys all but eight (Noah’s family) in GEN 6 and GEN 7. Then we covered Noah’s deliverance in GEN 8 and God’s covenant with the earth, the animals and mankind that God would never again flood the entire earth (and set a rainbow in the sky for a sign – a reminder) in GEN 9. About nine years ago Anne Kisly, one of the writers for TTUF wrote the article Plunging Towards Apostasy and given the situation we see in this world, and how much worse things have gotten (in less than a decade! ), I thought an update would be essential. It is the saint’s duty to expose the “unfruitful works of darkness” (EPH 5:11) in warning both the church and the world of the impending judgment that will come upon these works. Such evil will only increase as the approach of the LORD Christ Jesus draws near (MATT 24:12) – and so while these things in and of themselves can be burdensome and grievous to see, it is also a token for hope, because it means the signs of the Last Days are coming to a close and the Messiah’s Reign of Righteousness will soon be inaugurated! In the meantime, it behooves us workers of the kingdom to continue working in our respective callings from GOD while it is still light, for the night is soon coming when no one will be able to work (JOHN 9:4)! Several of the Apostles write in their Epistles about hardships that lay ahead for Jesus’ Church. They have spoken about tribulations, perilous times, and even being hated for our faith in Jesus Christ.
. . . and they monitor 40 more nations. 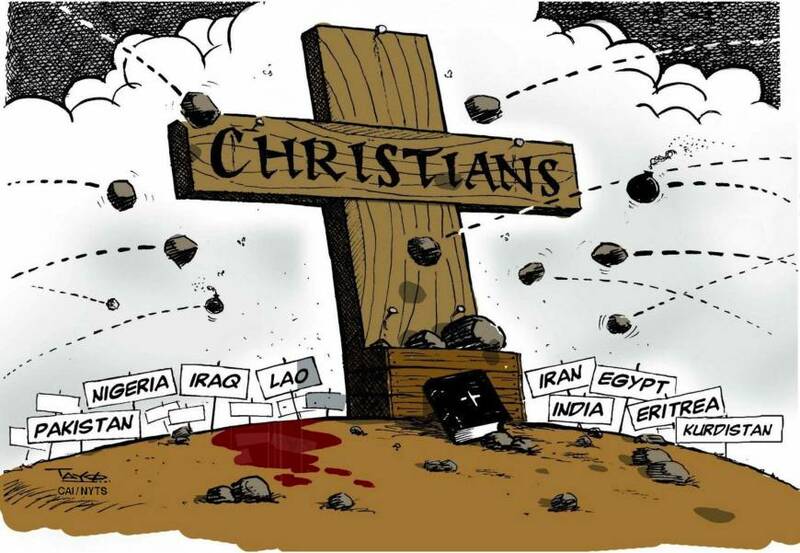 These “Top Ten” countries are not even among the African nations of Radical Islam, where more than 100 Christians have been burned alive, executed, or killed in their own homes or churches just this month by radical Islamic sect, Boko Haram. OPEN DOORS USA is a watch-dog ministry, and PERSECUTION.ORG is sponsored by The Moody Bible Institute. Both outreach organizations included prayer requests for Christians in Myanmar, where we support Pastor Roger Oakland (Founder of Understand the Times, International, and Bryce Homes International). Christians there are kept impoverished by being turned away from gainful employment opportunities, and they are relegated to living in the poverty stricken region of southern Myanmar. An email from Pastor Roger this past week informs us of a Mission Trip he embarks upon this coming Wednesday, reaching out into the jungle areas of the country. While we see an increase in negative attitudes in the USA against Christians, many brothers and sisters in far away places face danger walking out of their front doors. 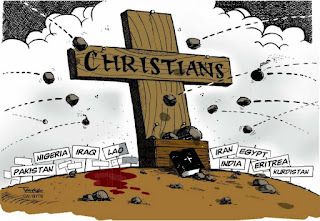 Radical Islam is the cause of a lot of it, but also Militant Hinduism and Fundamentalist Buddhism also plays an important role in Christian persecution. Pray for our missionaries around the world. Pray for Christian believers everywhere. The second to the last book in the bible is the book of Jude. Jude was a “brother of James”, and the half brother of Jesus. (See Jude 1:1; Gal 1:19 Matthew 13:55, Mark 6:3). During the time of Jude, pagan philosophies had so infiltrated the church that the Holy Spirit constrained Jude to urge Christians to “earnestly contend for the faith which was once [for all] delivered unto the saints” (Jude vs.3). 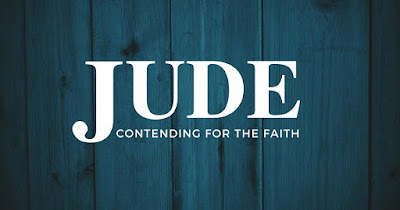 The main purpose of the book of Jude is exhort believers to earnestly contend for the faith, to warn us of false teachers/apostates who have crept into the church unawares, and compel us to go win some souls for Christ, some with compassion, and others save with fear, pulling them out of the fire (vs 23). Traitors, heady, highminded, lovers of pleasures more than lovers of God; Having a form of godliness, but denying the power thereof: from such turn away. For of this sort are they which creep into houses, and lead captive silly women laden with sins, led away with divers lusts, Ever learning, and never able to come to the knowledge of the truth.” You’d have to be blind not to recognize the overwhelming abundance of this in the culture today. And so Saints, in these last days we are to equip ourselves with truth, pray for discernment, know the scriptures, and take heed to the warnings. Love the Lord with all of your heart, soul, mind and strength, because your enemy is out there, lurking in the dark, seeking whom he may devour (1 Peter 5:8). Paul exhorts us in Ephesians 6, “Finally, my brethren, be strong in the Lord, and in the power of his might. Put on the whole armour of God, that ye may be able to stand against the wiles of the devil” in whatever shape they take form.